Though high-quality tile can provide some of the most ruggedly-durable floor coverings available today, their routine care and maintenance are imperative to their structural reliability. Furthermore, clean, spotless tile and grout beautifies every room instantly, while promoting a welcoming, relaxing atmosphere. Helping to maintain the look of your entire home, the team at Versatile Cleaning Group is proud to offer expert-level tile and grout cleaning. 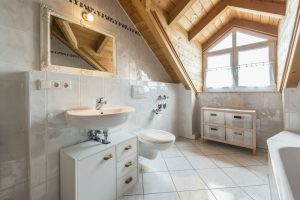 Meant to enhance the natural beauty of your tile surfaces, we utilize only proven industry techniques and trustworthy cleaning products to ensure your complete satisfaction. Up to 300 square feet – 40 cents per sq. ft.
301 to 600 square feet – 35 cents per sq. ft.
601 square feet and more – 30 cents per sq. ft. Long-term protection of floor tile and grout takes just a few simple steps through sealing. Professional sealing through proper preparation, application and finishing techniques, is intended to protect the look and structure of your floor from spills, stains and damage from cleaning solvents. As your trusted tile and grout sealing experts, our techs work to ensure that the beauty and shine of your floor is enhanced and enjoyed for years to come. Call the Versatile Cleaning Group customer care team today to schedule your next appointment now.